Our industry has always dealt with change. But the environment we’re navigating now requires change at a whole different level. We’ve moved from experiencing episodic change to continuous change—and as John Kotter has famously noted, that requires a whole different set of skills and a whole different level of urgency. 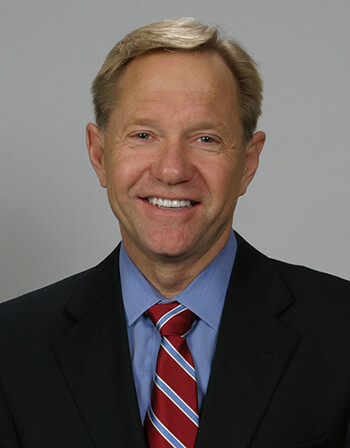 In his new book, A Culture of High Performance: Achieving Higher Quality at a Lower Cost, thought leader Quint Studer explains how to leverage the powerful values that have always defined “healthcare people”—passion, fortitude, willingness to learn—to meet the challenges of our disruptive external environment. Writing in his trademark conversational style, he lays out the framework, principles, processes and tactics that hardwire excellence in your organization—all the while growing a culture of consistent reliable execution that drives quality higher and higher (and higher!) as it controls costs. 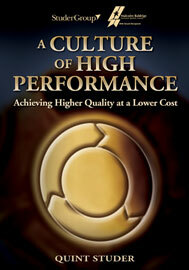 A Culture of High Performance is the perfect companion to Studer’s bestselling classic Hardwiring Excellence. Packed with new research and fresh insights—all brought to life with humorous, thought-provoking and inspiring stories—this book is a must have for any leader struggling to shore up margins while sustaining an organization that’s a great place for employees to work, physicians to practice medicine and patients to receive care.